I think a table settings really make a party something special. Since this week is the recap of the baptism I thought I would show you a bit of the tables and food. Now I had full intention of taking pictures of all my hard work but was so worried about getting the food out, perfectly of course, that I totally forgot. So thank goodness my step-dad captured a few shots. 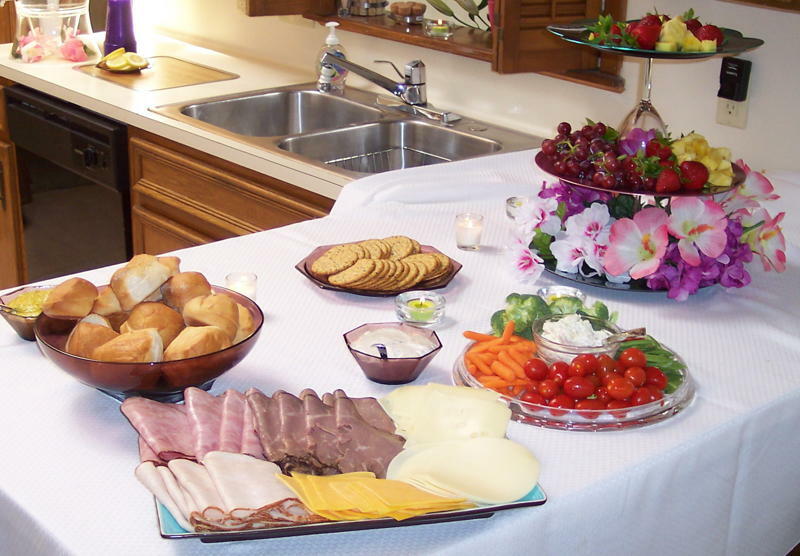 I made the tiered platters and borrowed the tablecloths from my mom. 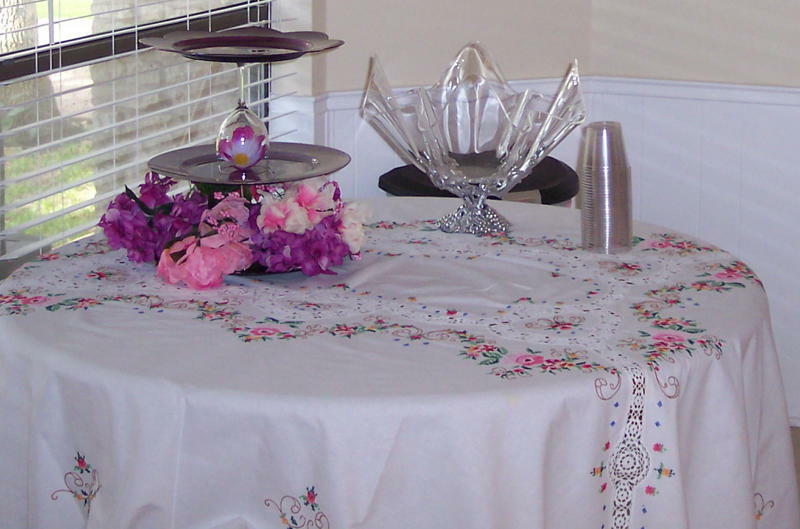 I really like how flowery tablecloth looked under the tired platters with flowers. 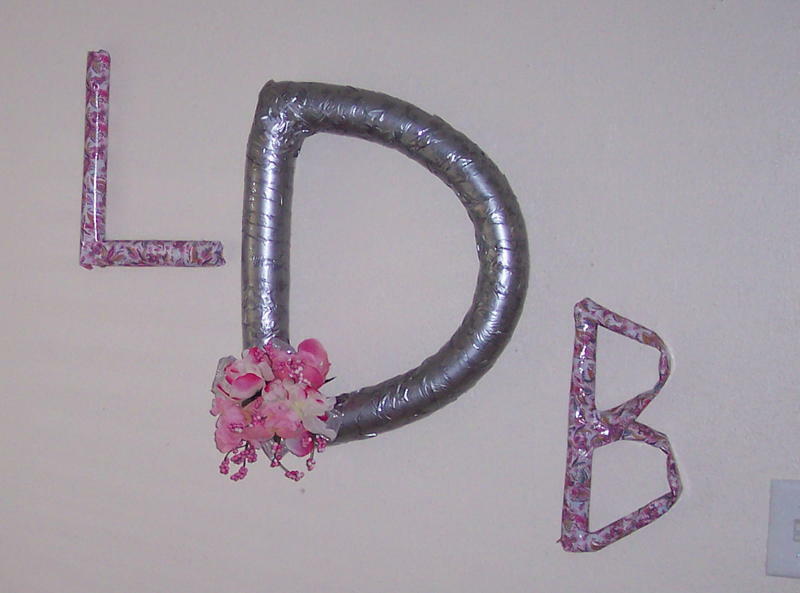 Letters I made to display on the wall. The day was a wonderful time with family and a celebration of a baptism. 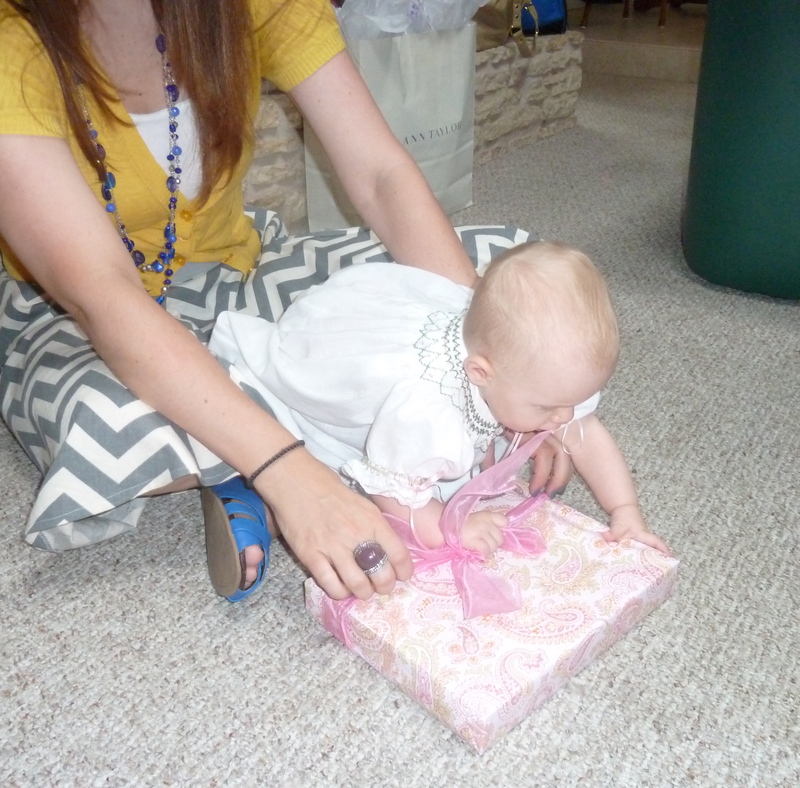 She received so many wonderful gifts and had a blast trying to get into them. 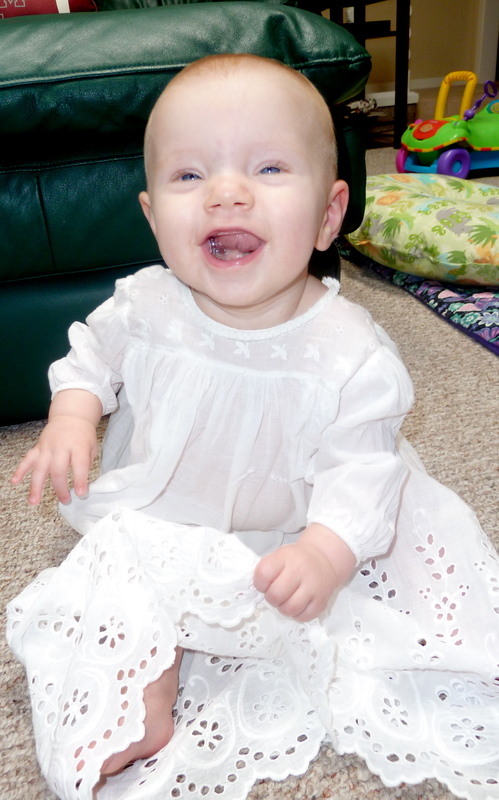 Baby girl in her great grandmother’s christening gown. It’s 100 years old! Posted in Parties and tagged baptism decorations, pretty tablescape. Bookmark the permalink.